In today's blog we look at more advice on saving water and badger baiting. 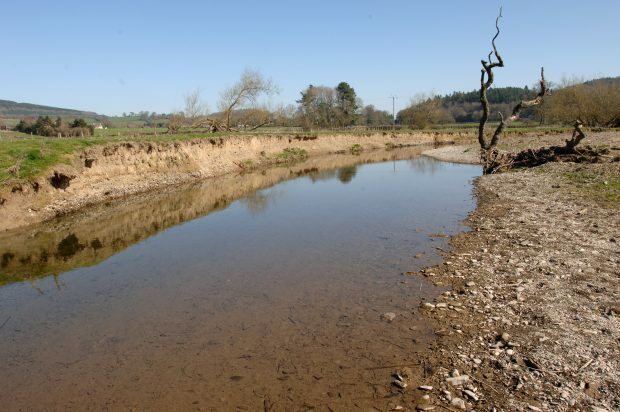 The Environment Agency published a report on water resources in England yesterday and there was widespread media coverage of the warning that without action to increase supply, reduce demand and cut down on wastage, many areas in England could see significant supply deficits by 2050 – particularly in the south east. You can read the press release here. There has been further broadcast coverage and articles providing practical tips on saving water. Sir James Bevan, Chief Executive of the Environment Agency, was interviewed for the BBC News at Six. Pete Fox, Environment Agency Director of Water, Land and Biodiversity, was interviewed on Victoria Derbyshire, Channel 5 News and BBC 5 Live. Operational manager Dave Throup was interviewed for local BBC radio stations. Over 450 news bulletins mentioned the story, including Sky News, ITV News, Radio One and regional BBC TV and radio News. Today articles in the Guardian and Huffington Post gave practical advice on saving water and the Daily Mail featured the story. The Week rounded up coverage, linked to the government’s 25 Year Plan and quoted Environment Agency Chair Emma Howard Boyd. BBC News Online have covered badger baiting and animal cruelty taking place in Wales. Under the Protection of Badgers Act 1992 those who harm badgers can face up to six months imprisonment and/or a fine; cruelty to dogs and wildlife such as deer is also illegal and currently carries the same penalties under separate legislation. The Government is committed to having some of the highest animal welfare standards in the world. That is why the Government has published a draft bill - Animal Welfare (Sentencing and Recognition of Sentience) - which would increase the maximum prison sentence for animal cruelty tenfold, from six months to five years, in England and Wales. Decisions on the arrest and prosecution of those taking part in illegal activities are matters for the police and prosecuting authorities. Anyone who believes that an offence is taking place, or has taken place should report the matter to the police as the enforcement authority.